Hi there, I am new to this website. I am a new ER nurse. I have completed my residency/orientation but I still do not feel comfortable in codes and trauma. I am worried about asking for more training at work. Does anyone know of any outside training/tutoring? I feel like it sounds ridiculous but it would just be amazing to sit down one on one with someone and go over everything that is done in codes and go over the algorithms etc. Kuriin has 2 years experience. I'm assuming by now you've taken your TNCC? Nurses don't do a whole lot in trauma aside from the line and labs and blood transfusions. As the primary nurse, your main goal is to chart the primary and secondary survey and place orders that the doc says. Nurses don't do a whole lot in trauma aside from the line and labs and blood transfusions. 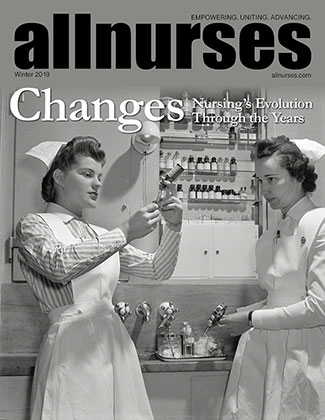 As the primary nurse, your main goal is to chart the primary and secondary survey and place orders that the doc says. This varies by facility and also by the severity of trauma. Our trauma nurses' roles are a little different, but they are dedicated trauma nurses and don't take assignments in the ED. Did you take ACLS? That covers all the code algorithms. Trauma is a different animal, and you probably won't feel comfortable with them as a new RN because they can be very complex. Definitely look into TNCC, or ATCN. Another great course is Trauma Care After Resuscitation (TCAR), but that goes into the ICU spectrum of care as well. TNCC is a great starting point, it is packed with information. Are you a new nurse, or just new to the ED? KeepinitrealCCRN has 5 years experience. TCAR is a great class. Also, you will learn as you go, every code is different and I am sure they don't expect you to know everything. Every code you are in try and do something different so you can get experience with it. I'd worry about codes for now. If you're at a level 1 or a high-volume level 2, it will be a long time before you do any trauma. I take my TNCC in november. I am a new nurse and went right into ER and I don't want to get scared away already but I am close. My training was terrible. I don't feel ready to be on my own at all. I took ACLS but it's so intimidating when it is real. I just don't know when or what to call out to the staff and doctor and what to write down or how to chart. Am I supposed to have these algorithms memorized cause that seems impossible to me..? Think about all the things you learned in school - didn't that seem impossible at first? Don't look at it as "memorizing," try to intentionally apply what you are seeing to what you have learned. For example, according to ACLS, what happens when we see a shockable rhythm? You know what comes next: high quality CPR until the defibrillator is charged, and then we shock. Yes, you are expected to anticipate "what comes next" in a code so that you will know what medications are going to be requested, or you will know what to chart, or you will know when to tell everyone it's been 2 minutes since a rhythm check or 3 to 5 minutes since the last epi. Do you have an ED educator? Reach out to him/her. How long was your orientation? How long have you been on your own? If you are not yet on your own, can you get more time on orientation? New grads CAN succeed in the ED, but you have to be supported and have a good orientation. It's not for everyone, and there is no shame in that. I know a lot of nurses who have tried ED and ultimately left for other pastures (usually not greener, just different). You shouldn't be in trauma activations at this point, especially without TNCC. Are you in a verified trauma center? That can make a big difference on who cares for trauma patients. Just an allnurses tip: When you are responding to a particular person, using the "quote" button is helpful so we know who you're addressing. bear14 has 2 years experience. It's sad to say but you get more comfortable the more experience you have. The second day I was in the ED we had a cardiac arrest that we brought back. I was so nervous I couldn't even put the foley in....and it was a male. The longer you're there the more comfortable you will get. It takes time. Pretty soon you'll get IV's while they're being compressed. KeeperMom has 10 years experience and works as a CRNP. In our L1 facility, it takes at least a year to be assigned big beds and another year before you can even apply to be on the trauma team pathway. That takes another 6 months to a year before you can actually be on the L1 team. Be patient, grasshopper. Don't rush into traumas until you are really comfortable taking care of a really sick patient on your own. You gotta walk before you can run! As far as learning more, try to see if you can find a more experienced nurse to help teach you. Maybe go in as many of her codes and traumas as you can. Also ask you educator about more learning opportunities. My ER has critical care classes taught by more experienced RNs. These are never required but usually pretty helpful.